Love our invitations!!!!! 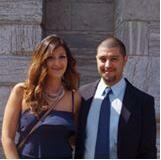 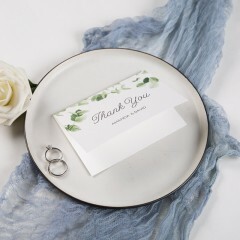 :-):-):-):-) The service and quality was great! Thank you so much! 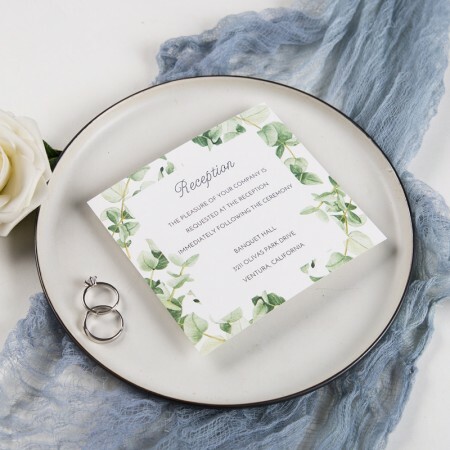 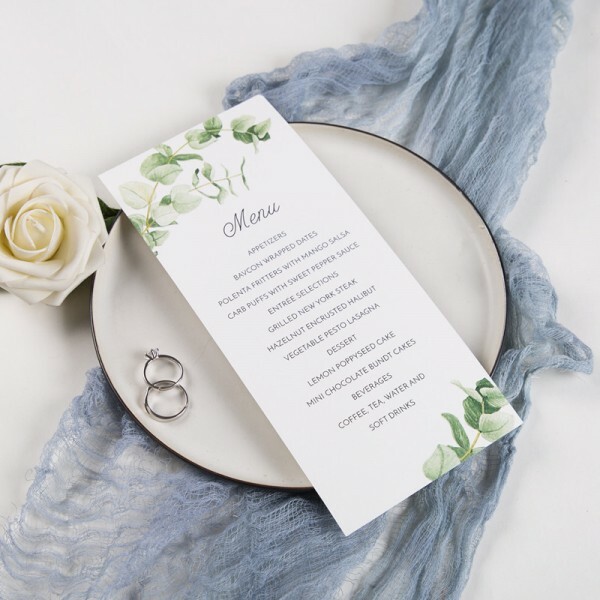 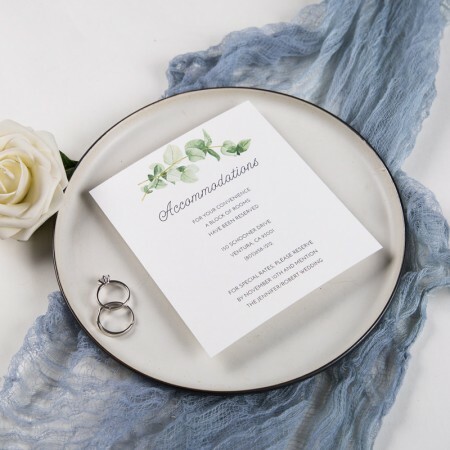 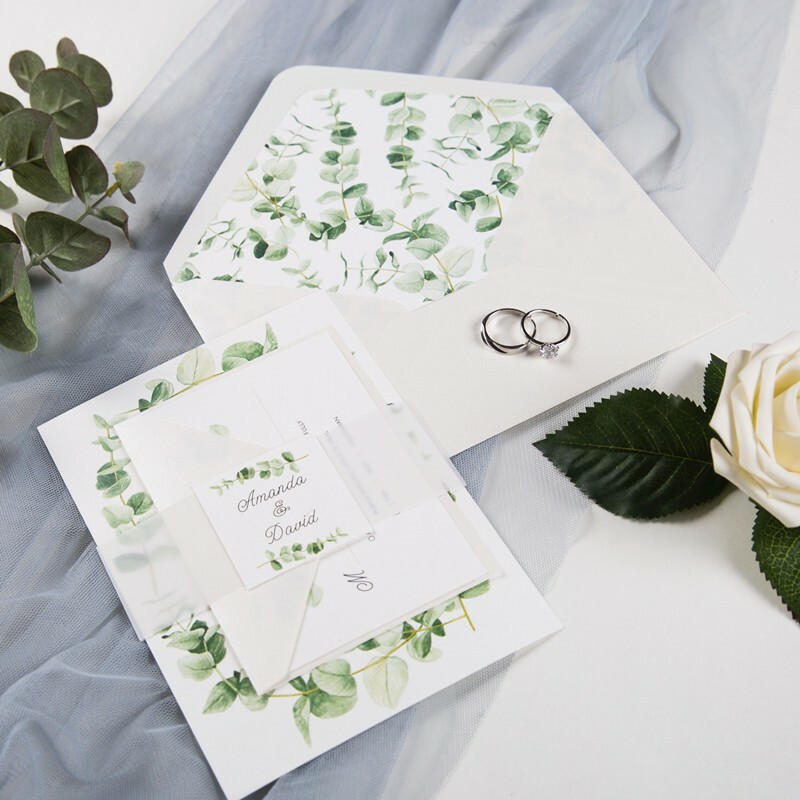 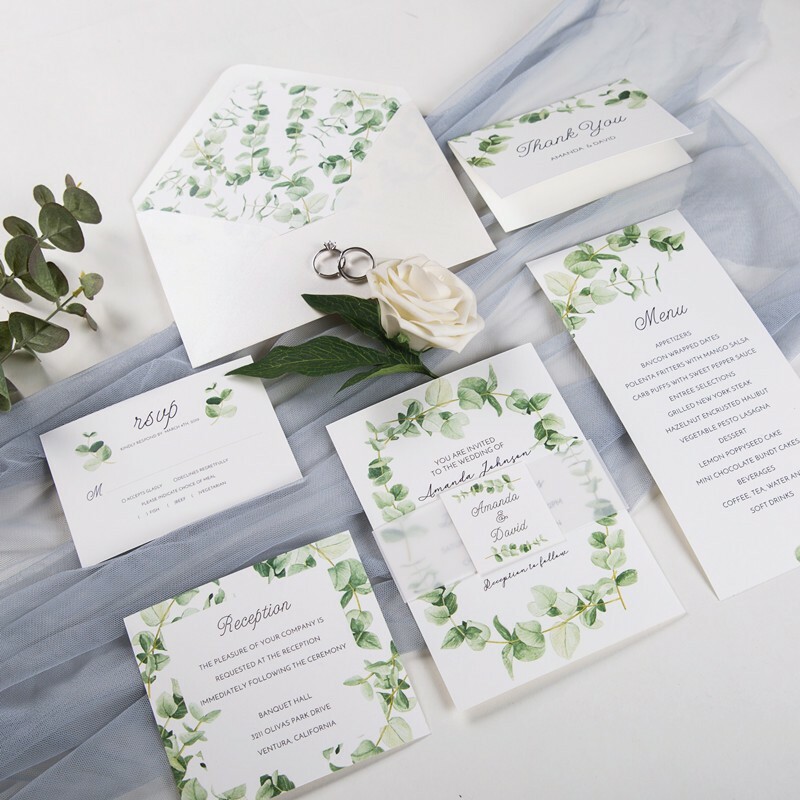 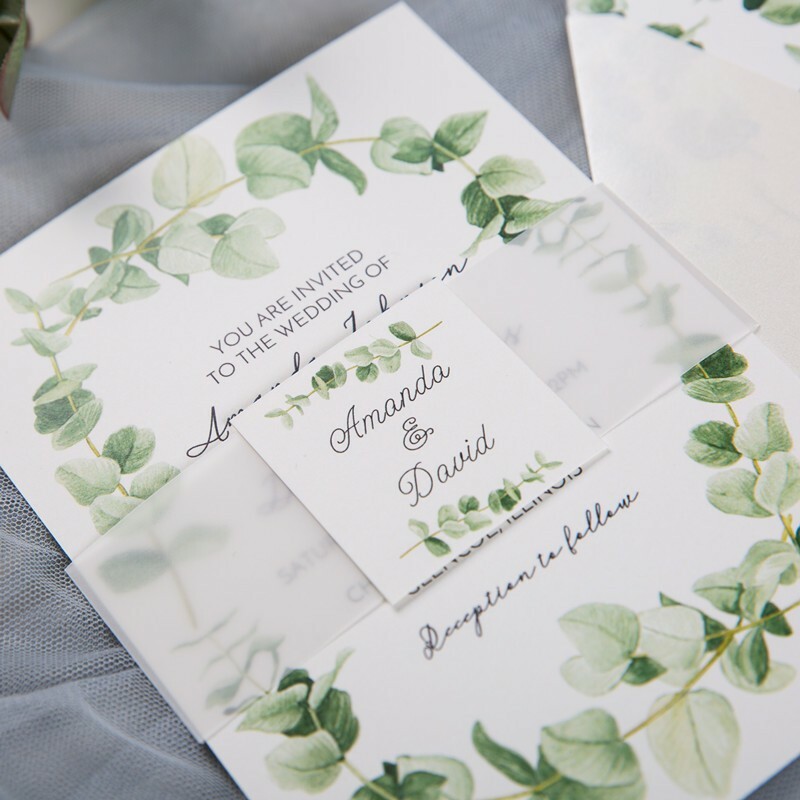 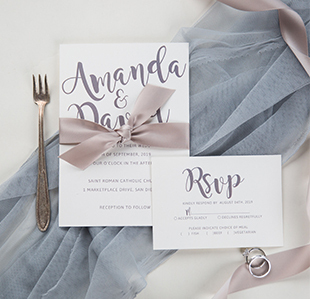 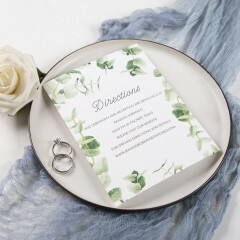 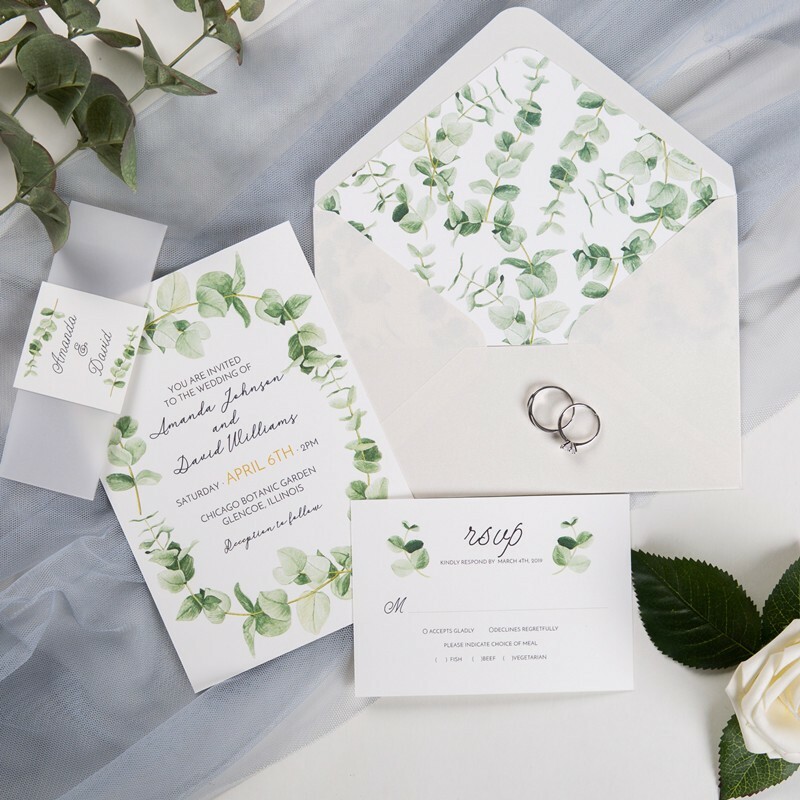 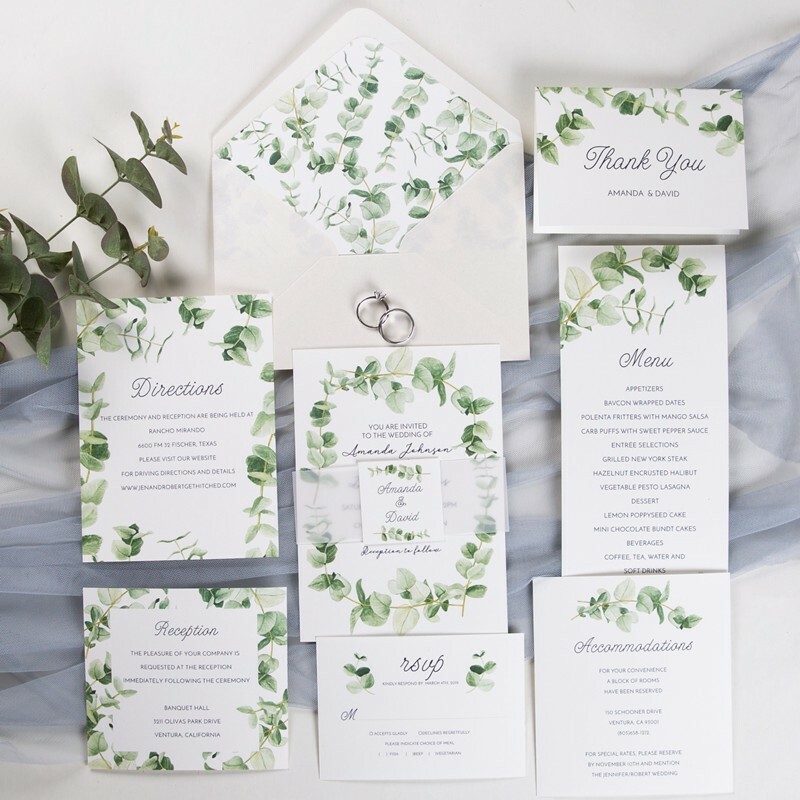 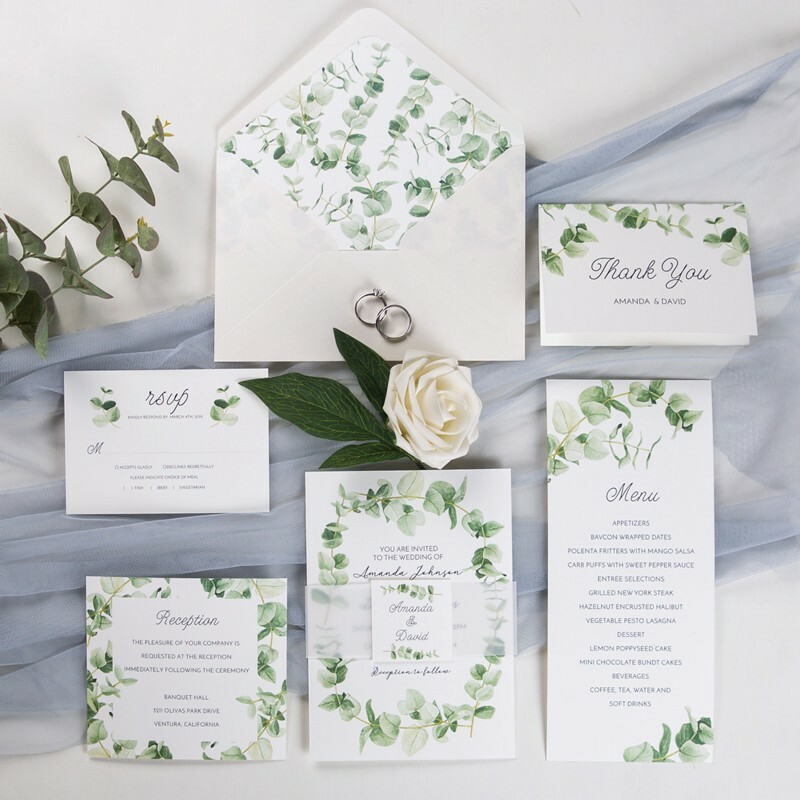 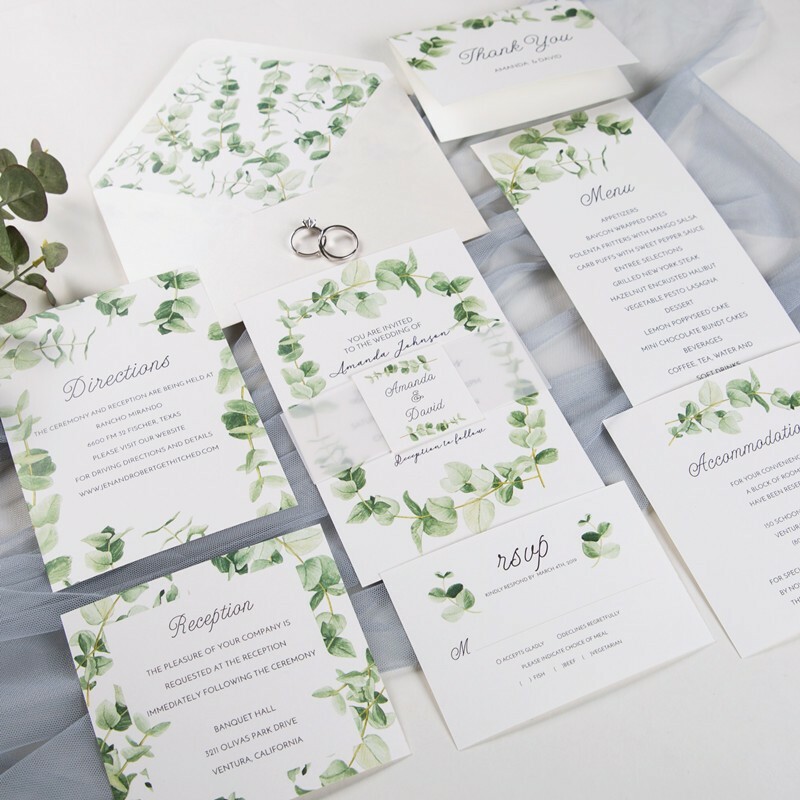 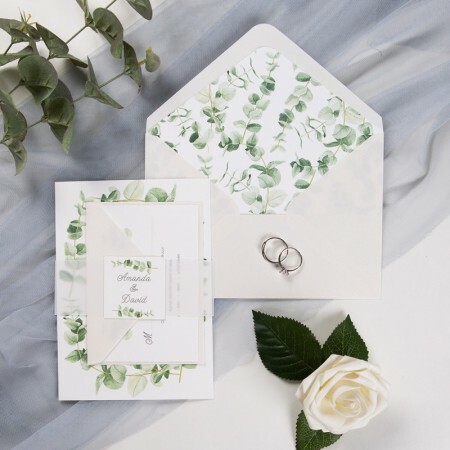 Our ‘Eucalyptus’ wedding invitation suite is lovely - soft and romantic, but still standing out with its gorgeous greenery.